If your lucky enough in live in Japan you might be able to pickup one of these cool mobile TV Receivers and battery extender from Softbank Mobile just before Christmas. 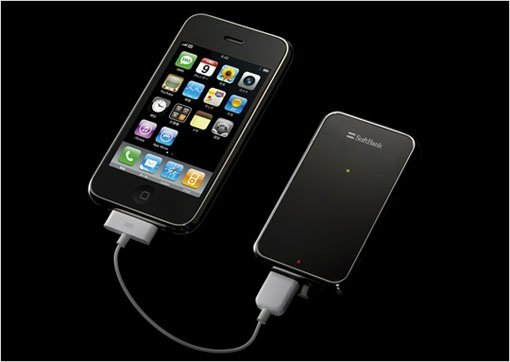 The battery extender can also receive the One-Seg media broadcast, it will then transmit the video via WiFi signal to iPhone 3G. With one full battery charged it can receive and transmit video continuously for 3 hours. The company plan to start selling the add-on from mid-December this year.